Usually I like to include the full name of the product in the title of my post. I really prefer to, so that I'm clear about what I'll be discussing. 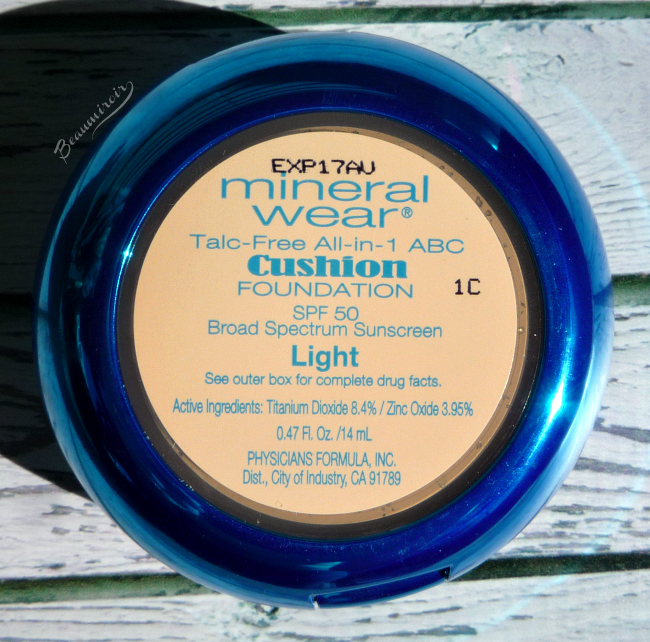 In this case though, considering the full name of this foundation is, let the drums roll for a dramatic effect please, Physicians Formula Mineral Wear Talc-Free All-in-1 ABC Cushion Foundation SPF 50, no less, I simply couldn't. You'd think that in this day and age of Twitter, not to mention Google bots only reading a certain number of characters in the beginning of post titles or image descriptions, brands would try to find sweet and short names for their new products. You know, so that people can actually talk about them online and on social media without getting confused. Well apparently Physicians Formula doesn't care too much about that. What their teams do seem to care about on the other hand is silliness that they think will impress the public: you know why this is called, among other things "ABC"? Well that refers to "BB" and other "CC" creams of course! Physicians Formula even goes so far as to describe this new foundation as having "the benefits of an alphabet cream"... hence the name ABC. Did you just hear me roll my eyes? Is the "alphabet cream" the second cousin thrice removed of the alphabet noodle soup? 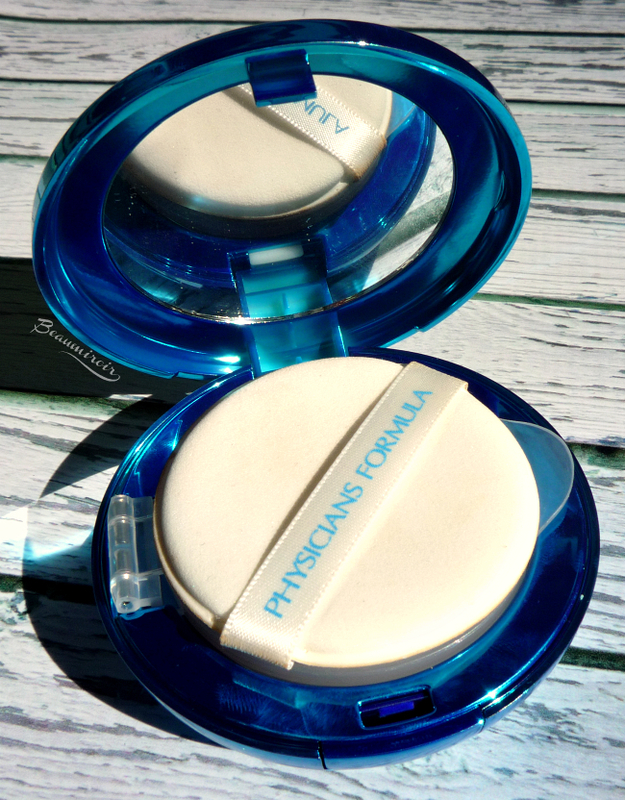 So for the sake of our sanity I'll refer to this product simply as Physicians Formula Cushion Foundation from here on in this post, that shall suffice. So, do you know what a cushion foundation is? It's actually a pretty ingenious solution to the following problem: how can you make liquid foundation more portable, to allow touch-ups during the day, while limiting the risk of accidents linked to classic bottles? Creamy compact foundations are sleek and easy to transport, but they're much thicker in texture than their liquid counterparts. And if you've ever had a bottle of foundation leak or shatter in your purse, you know why it's not a good idea to carry them around. The answer to that beauty conundrum originated in Asia, where cushion foundations have been around for a while. A few years ago trendy US and European beautystas were ordering their cushions from Asia-based websites. Then Target began carrying Korean cosmetics brand Laneige and their BB Cushion - I think it was in early 2014 - and the trend started spreading quickly. The cushion madness is now in full bloom, with a bunch of new high-end options arriving (MAC, YSL, while Lancôme was an early adopter) and the cushion finally reaching every drugstore with the Physicians Formula and L'Oreal Lumi versions. Cushion foundations are basically liquid foundation in a jar, with the opening covered by a sponge, aka cushion. When you press it, the liquid foundation seeps through the sponge and gets on your applicator. When you're done, you close the tight lid, and voilà, no spillage, no risk, you can take the sleek compact with you everywhere to touch up whenever you need to. Besides being portable, cushion foundations are also a relatively mess-free way of applying makeup. They come with an applicator, usually a simple a silicone sponge, that you press on the inner sponge to dispense the foundation, and then tap onto your skin to apply. You don't get your hands dirty, nor do you need to use a brush. You'll just eventually need to wash the applicator itself. While I like the concept of a portable liquid foundation, and was excited to try it for the first time, I have one major concern with cushion foundations: they're actually the least sanitary way to store and use makeup. Think about it: you tap the applicator onto your skin, then press it back into the sponge soaked in foundation to get more, and continue the application. In this process, you're touching your face then the sponge again, multiple times, potentially spreading bacteria into your makeup. You may argue that it's the same thing with compact cream foundations. True, but sponges are the loveliest place. For bacteria to grow. They're full of nooks and crannies, and in the case of a cushion foundation, they're constantly wet. Just make an experiment: get your dish sponge in a bowl with a bit of water and let it sit for a couple days. How does it smell after a while? Yup, it stinks. Why is that? Neither the sponge itself, nor the water or the bowl smelled to start with. Well that's bacteria growing for you. Wet, room temperature environment and a nice soft sponge to raise the kids on, it's the suburban life dream for them! So for this reason I would not recommend cushion foundations to people who suffer from acne, and I'd also be very careful to use it up quickly. Usually I completely disregard directions when it comes to makeup expiration, but here 6 months max seems reasonable. Especially if you use it for touch-ups throughout the day and not only in the morning on a clean face. In the past few months I've seen alternative formats of liquid foundation compacts being launched that don't include a sponge/cushion, but use a different type of dispensing system instead (I'm thinking about Estée Lauder and Givenchy new foundations here). I'd be more inclined to try these than a classic cushion in the future. UPDATE: just wanted to let you that I discussed this sponge and bacteria issue with Dr C, aka Mr Lulle, Beaumiroir's in-house scientist. He thinks that bacterial growth shouldn't really be a cause for concern as long as the product contains preservatives that prevent it - and of course it does. To go back to my sponge-in-a-bowl experiment, he argues that it wouldn't stink for a long time if you added one drop of bleach. 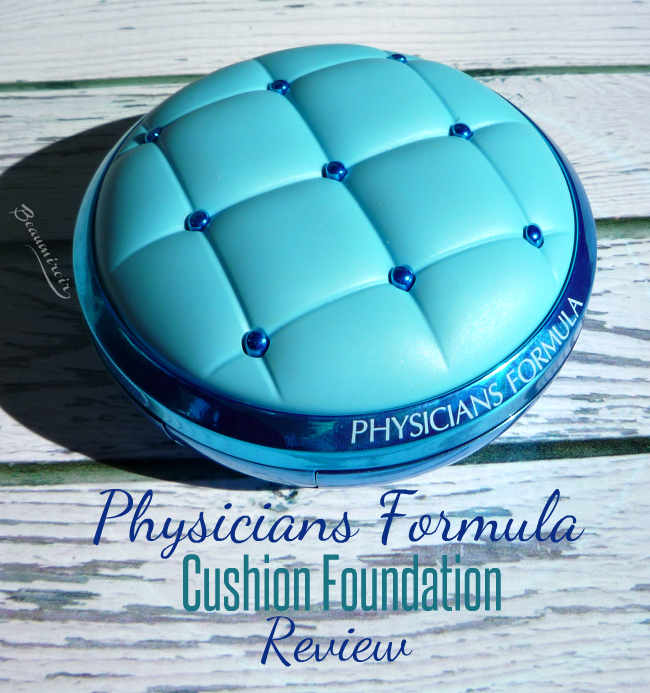 After this, ahem, short introduction, let me tell you what I liked and didn't like about Physicians Formula Cushion Foundation! - The compact of course! No but seriously, did you take a good look at this adorable blue cozy-looking cushion? This has to be the cutest foundation container I've ever seen in my whole life. It looks as if you could really rest your head on it after a long day, and my husband even tried to press on the top, thinking it really was a tiny blue pillow. The inner lid (you can see it in the pictures, it's that clear plastic lid) also keeps the foundation fresh and prevents the sponge from drying out. - The included SPF50, due to the presence of titanium dioxide and zinc oxide in the formula. It's always good for me to get extra UV protection in sunny San Diego, and mineral sunscreen is gentle for all skin types, including sensitive. - The formula contains a few nice ingredients, among some plant extracts that are known to improve discoloration: liquorice and arbutin. I wonder why Physicians Formula doesn't communicate more about that!. - The foundation in there is very lightweight, it never feels heavy on the skin. - It doesn't sink into pores or fine lines at all, on the contrary it makes my skin look smoother. Because of that I don't feel the need to use a primer. It also provides a radiant look, so it has a bit of a brightening effect. - The coverage starts sheer but it can be built up to medium. Not more, I tried, and then it started looking cakey. My skin tone is evened out nicely, but severe redness or imperfections do not disappear completely. - As expected it's easy to keep in your purse for touch-ups during the day. 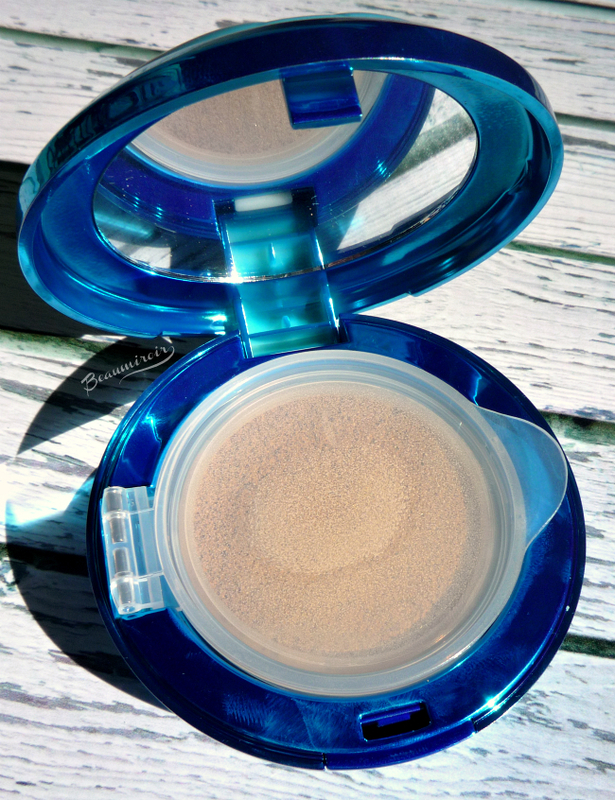 The compact is not the sleekest with its pillow design though, so if that's really your main reason for wanting a cushion foundation, you'd be better off looking into the L'Oréal Lumi version if you prefer drugstore makeup. - I also enjoy not getting my hands dirty when I do my makeup in the morning. Even when I use a brush for my foundation, I always get a pump on the back of my hand and dip my brush, so I do need to wash my hands afterwards. And when I use a long-wear foundation, it's not as easy as it sounds to get rid of it! - The finish is very dewy. It doesn't show very well in my pictures, but trust me, it's shiny. Some people may like it, but it's really too much for me, so I absolutely need to follow with a mattifying powder. Without that extra step it just makes me look greasy. I don't think this foundation would work well with oily skins. - Application is not quite as foolproof as I anticipated. First, the applicator somehow doesn't fit well in my hand: I put 2 or 3 fingers under the ribbon, but that ribbon is very loose so I don't have a good grip. Another issue with the applicator is that its flat shape doesn't work well for small, angled areas. It's fine for my cheeks and forehead, but not really adapted for the creases around the nose. It's no beauty blender! Then you have to be careful to tap the applicator onto the skin and not swipe. Swiping results in a catastrophic streaky mess. And you know what, covering my entire face by gently pressing a sponge on takes a lot of time. - Linked to the tapping/pressing technique you must use is the fact that the coverage can be uneven. It's really hard to apply a perfectly even layer of makeup when you can't swipe to smooth things out! The foundation does blend pretty well into the skin, but you could still end up with areas that have more product than others without really realizing it. It's barely noticeable in real life, but it becomes a little more visible in pictures. If you take a close look at my after picture, you may notice some areas that are warmer/yellower than others. - Coverage that's not completely even would be less of an issue if you could find a shade that's an absolute perfect match for your skin, but with only 3 shades offered (THREE shades! Light, Light/Medium and Medium), that ain't gonna happen. 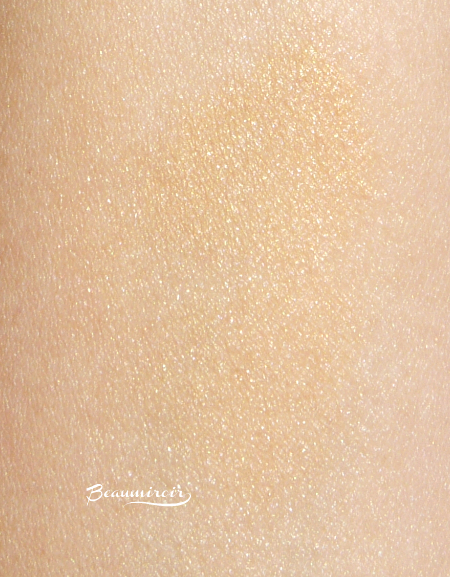 The one I have is Light, and as you can see in my swatch it's very warm, and I'd say it leans toward a medium shade. It will definitely be too dark for people with fair to light skin, and anyone with cool undertones may find it looks too orange. It's a bit warm and dark for me at the moment, but it should be better come summer. 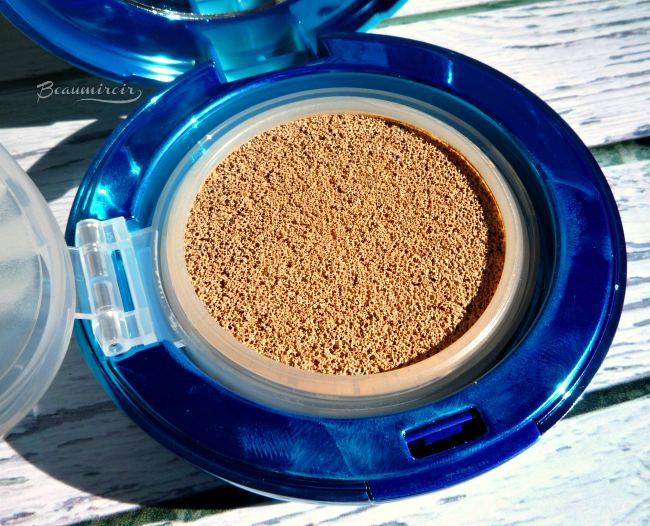 - Although it's dewy and contrary to what Physicians Formula claims, I don't find the Cushion Foundation to be moisturizing at all. I've had days when my skin was visibly dehydrated by the end of the afternoon while I was wearing it, so it didn't help lock in moisture. - I'm afraid the compact will only last a very short time. I've used mine about half a dozen times, and I already get less product on the applicator when I press it onto the cushion. If used daily I don't see it lasting more than a few weeks, which makes it quite expensive in the long run, with a price tag of around $17. It only contains 14 ml (0.47 fl oz) of foundation, while my other liquid foundations in classic bottle are 30 ml (1 fl oz). 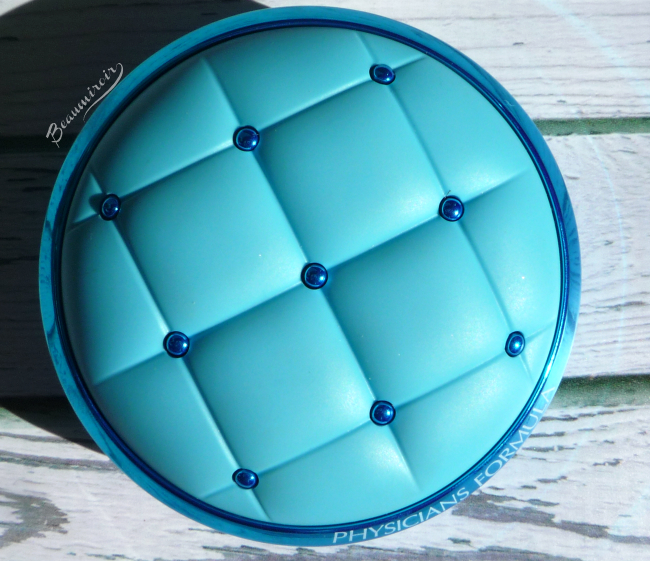 - To make things worse, this is one of the few cushion compacts that is not refillable. Many brands offer refills for their cushion foundations: you just pop out the little plastic jar that contains the makeup and sponge and replace it in your compact with a fresh new one. It's economical and better for the environment. At this time, Physicians Formula doesn't offer refills, so you have to pay the full price every time you re-purchase the Cushion. You're also forced to throw away the whole cute compact once it's empty instead of being able to re-use it, generating more plastic waste that already suffocates our planet. This is not a bad product but considering the price of $17 I won't repurchase it. It looks and feels good enough on the skin, if you like your foundation dewy or plan to use a mattifying powder, but it's also far from perfect. With the ridiculously small number of shades in the range and the fact that the brand doesn't offer refills, I feel like I can't recommend it. Have you ever tried a cushion foundation or BB? What do you think about this concept? Where to buy? At your local drugstore or online at drugstore.com, Target or Walgreens.